← What Disturbs Our Blood. By Matthew Hart. Walker & Co. , New York. 2004. 220pp. illus. Much about an Irish gangster named martin Cahill and assorted others. Some very big art heists. How international Art theft works when it is impossible to dispose of many of the objects stolen. International police co-operations are discussed. IRA involvement and relationship to gangsters in Ireland. Some interesting aspects of Art restoration are covered. Altogether entertaining and informative book. 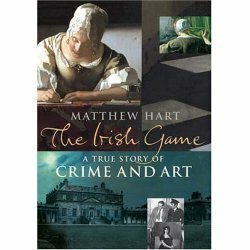 This entry was posted in Uncategorized and tagged Art, Book reviews, Crime Story, Ireland. Bookmark the permalink.